Broad and diverse ranges of activities are conducted within and by organized groups of individuals, including political, economic and social activities. These activities have become a subject of intense interest in economics and game theory. Some of the topics investigated in this 2005 collection are models of networks of power and privilege, trade networks, co-authorship networks, buyer–seller networks with differentiated products, and networks of medical innovation and the adaptation of new information. Other topics are social norms on punctuality, clubs and the provision of club goods and public goods, research and development and collusive alliances among corporations, and international alliances and trading agreements. 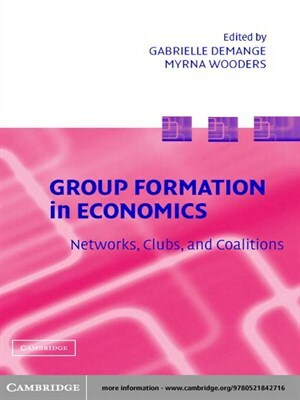 While relatively recent, the literature on game theoretic studies of group formation in economics is already vast. This volume provides an introduction to this important literature on game-theoretic treatments of situations with networks, clubs, and coalitions, including some applications.